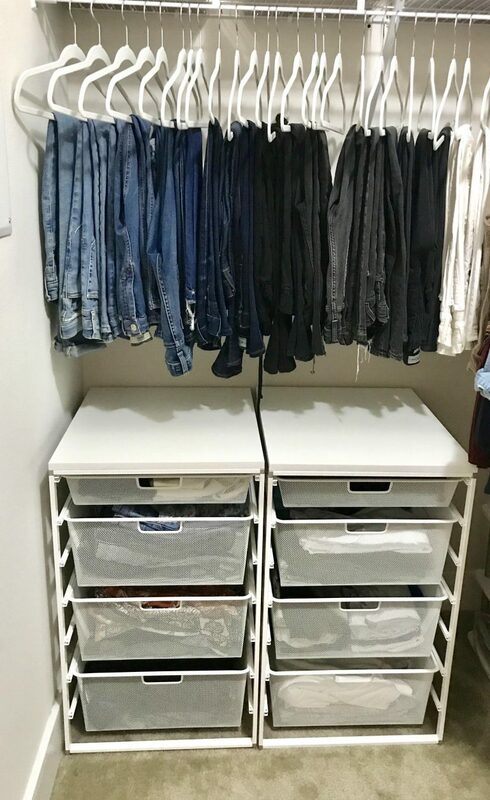 When people see the before picture of this closet “they ask me so whats the dilemma”. 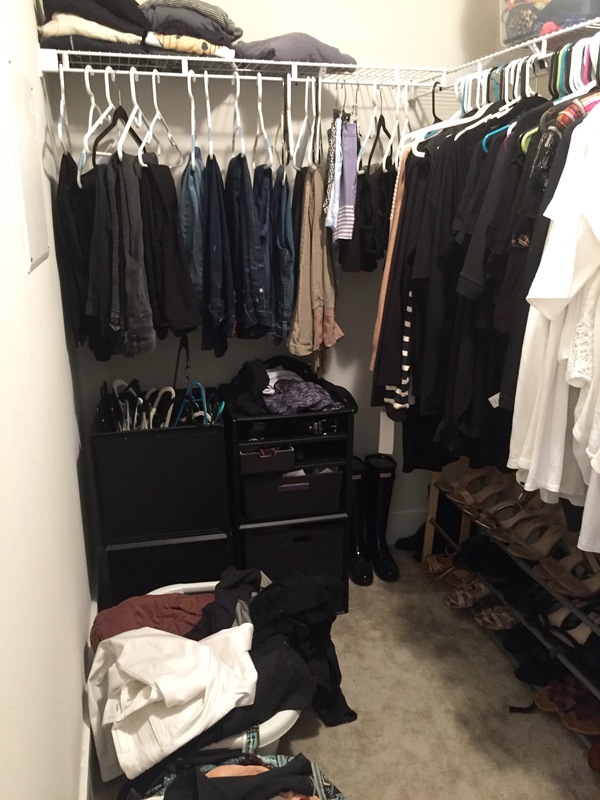 It may look like an “okay” closet but it wasn’t functioning for her and she needed help figuring out why. Before I start a project I like to talk to the client and find out what is not working in the space, what is working and what their expectations are at the end of the project. 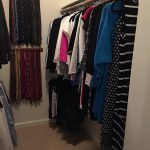 The first thing I suggested was to purge clothing, jewelry, purses and shoes. Like most of us she was holding onto different sizes, “just in case”. My goal for her was to keep only what she loves, wears and let the rest go. 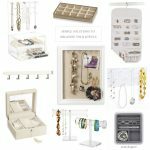 Always purge then organize! 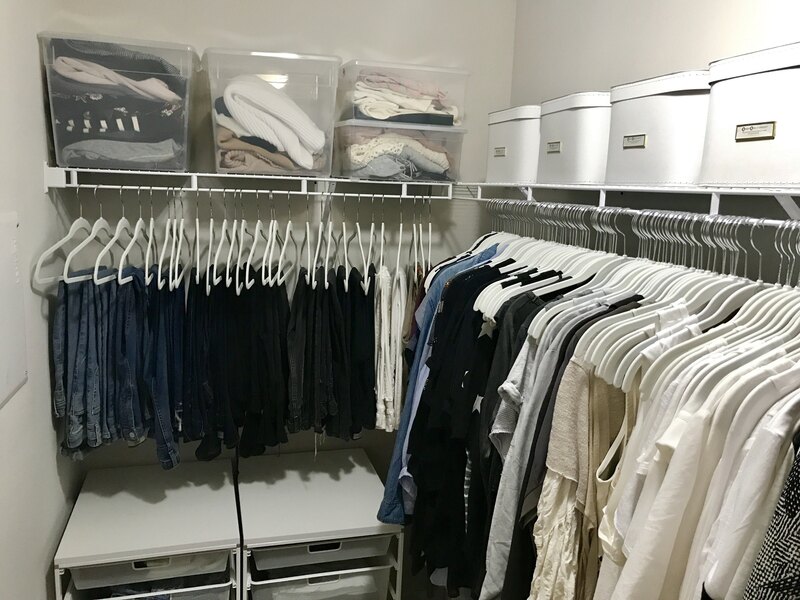 She had a section of hanging pants in the closet that worked in the closet but the space underneath was not being utilized properly. These elfa closet drawers were the perfect fit and she gained the needed drawer space she was looking for. She needed storage for off season items and there was plenty of shelving above the hanging that was not being used. I suggested we use these boxes for all of her off season items. They fit perfectly and look great! 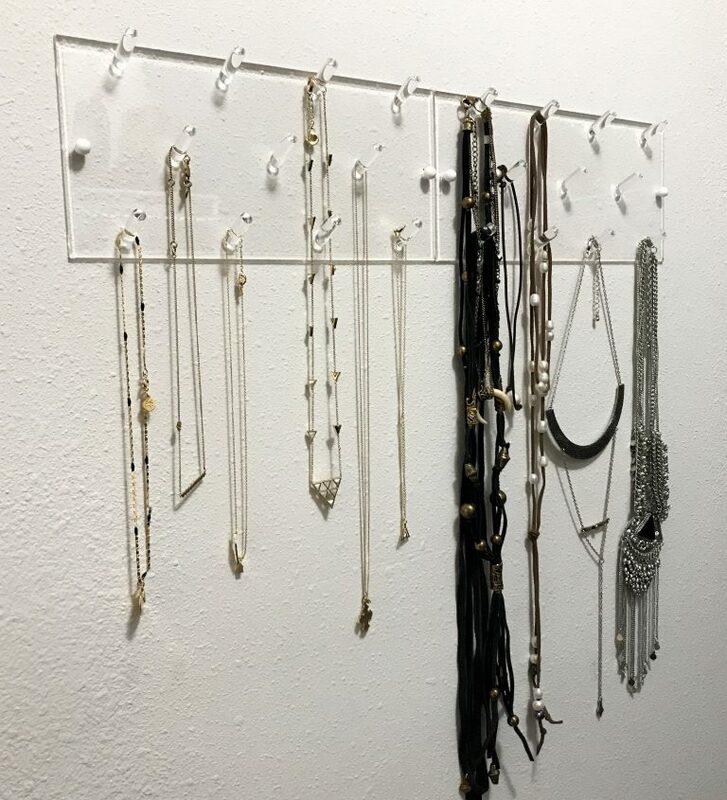 The space to the left was perfect for two acrylic necklace racks to hold jewelry because it didn’t protrude into the space and kept her necklaces tangle free. 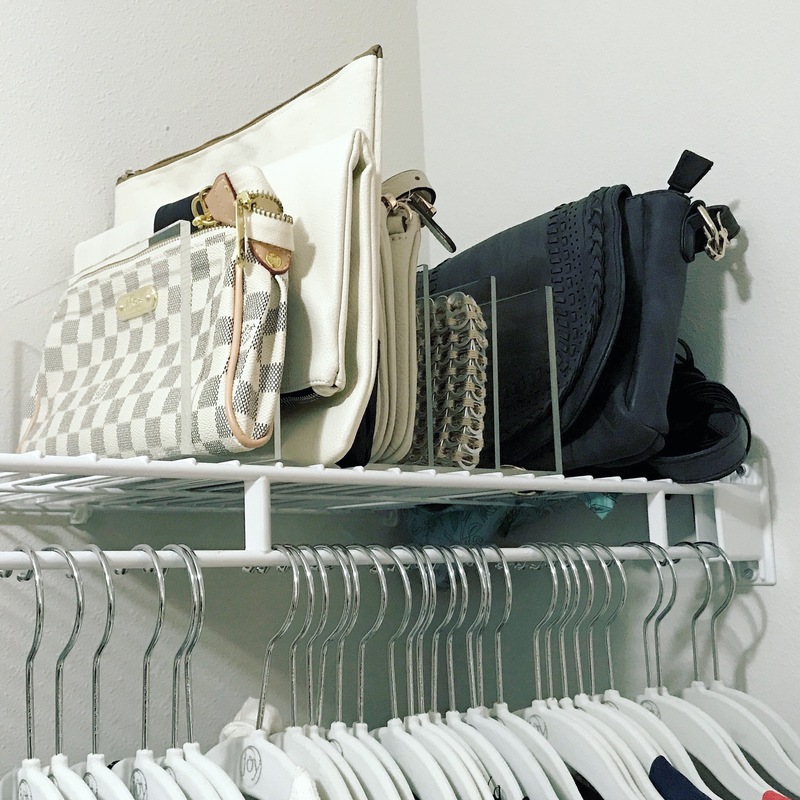 We needed a way to store her small clutches and this was the perfect choice for the shelf depth and gave her easy access. 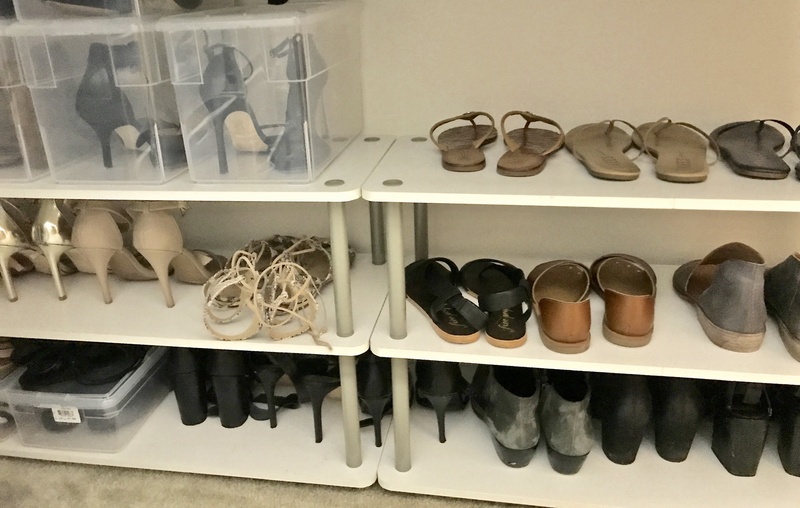 There was already one shoe shelf that worked for her needs but the other one was unstable and the shoes kept falling off. We picked up another one and it was perfect. Sometimes what you already own works! 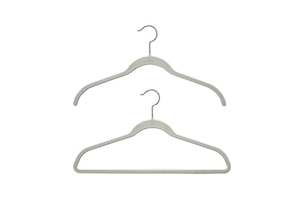 When I put everything back into the closet I changed to the slimline hangers in white. It gave the closet the finishing touch with the white boxes. The end result worked without any permanent changes so if she moves she can take it with her. 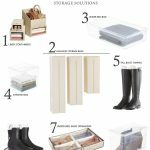 For more tips on this closet watch my latest segment on River City Live.